Author: Patchett, Ann Set In . . . Description: The poignant -- and at times very funny -- novel from the author of 'The Magician's Assistant', winner of the Orange Prize, repackaged and promoted as part of Perennial's fiction promotion in 2008. Latin terrorists storm an international gathering hosted by an underprivileged country to promote foreign interest and trade, only to find that their intended target, the President, has stayed home to watch his favourite soap opera on TV. Among the hostages are a world-class opera singer and her biggest fan, a Japanese tycoon who has been persuaded to attend the party on the understanding that she will perform half a dozen arias after dinner. 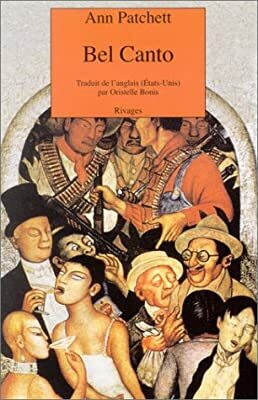 The tycoon's engaging and sympathetic translator plays a vital role in the subsequent relationships between so many different nationalities closeted together, interpreting not only the terrorists' negotiations but also the language of love between lovers who cannot understand what the other is saying. Ultimately, it is the terrorist strike that does more to promote foreign relations than anyone could have hoped to achieve with the party.